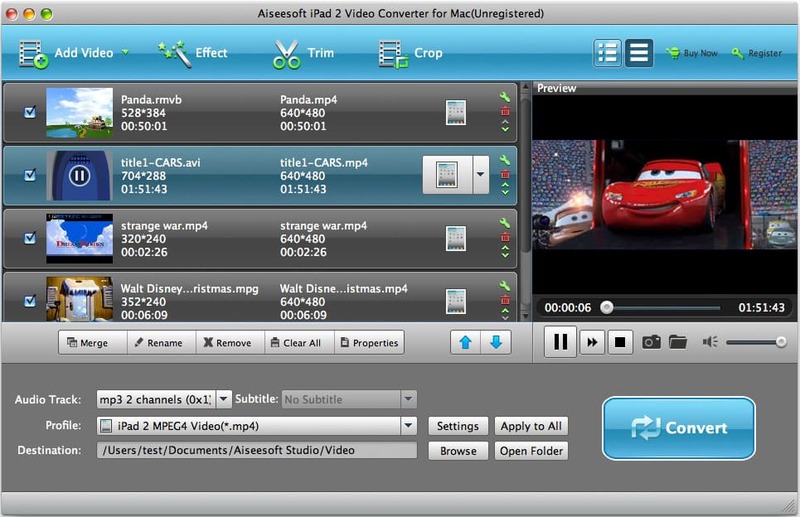 Aiseesoft iPad 2 Video Converter for Mac is a powerful and professional iPad 2 Movie Converter for Mac users to convert most popular video files to iPad 2 compatible video and audio formats with amazing speed and best output quality. 4Videosoft PDF to Word Converter is the most powerful software which is able to help you convert PDF files to Microsoft Word 97-2003(.doc), Microsoft Word 2007(.docx) and Rich Text Format (.rtf). You can define the pages you want to convert. 4Videosoft Blu-ray to PS3 Ripper is a Blu ray converter and decrypter. It is specially designed for users who would like to convert Blu ray to PS3 movies. It is supportive of converting from DVD files to all key video and audio formats. iFunia MP4 Converter for Mac is a powerful MP4 Video converter on Mac OS. It can not only convert all popular videos to MP4 video for portable players, but also convert MP4 to other video and audio formats. Free Flash Flv MP3 Converter can batch convert Flv to MP3 audio files. It has a built-in MP3 splitter to extract/convert only part of Flv file to MP3 audio file. And you can set the output audio bitrate, frequency and channels. It's completely FREE!